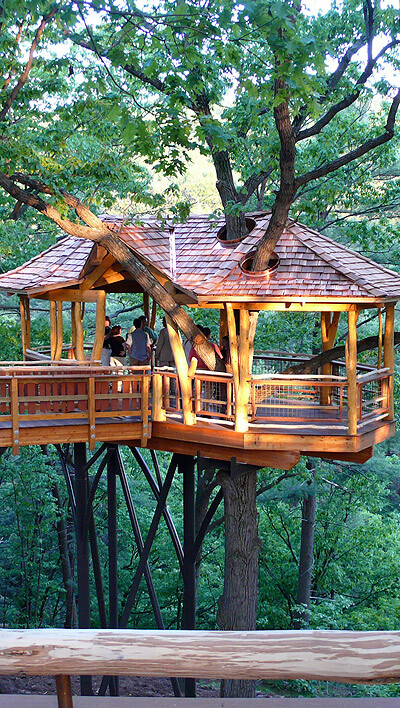 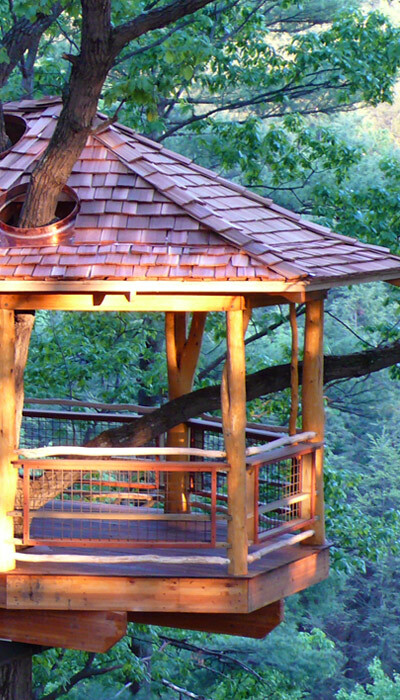 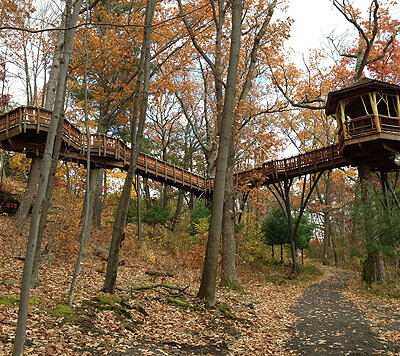 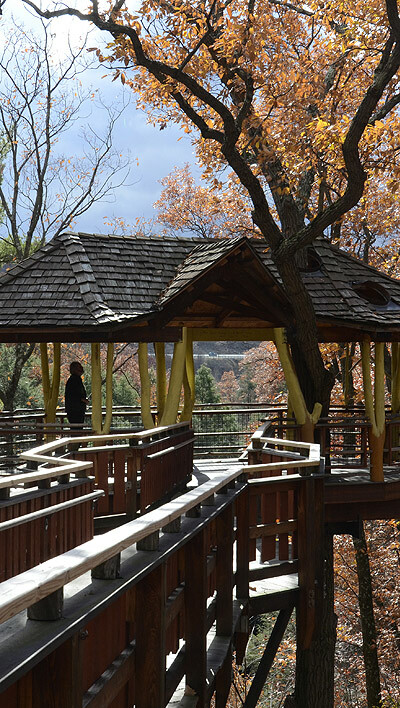 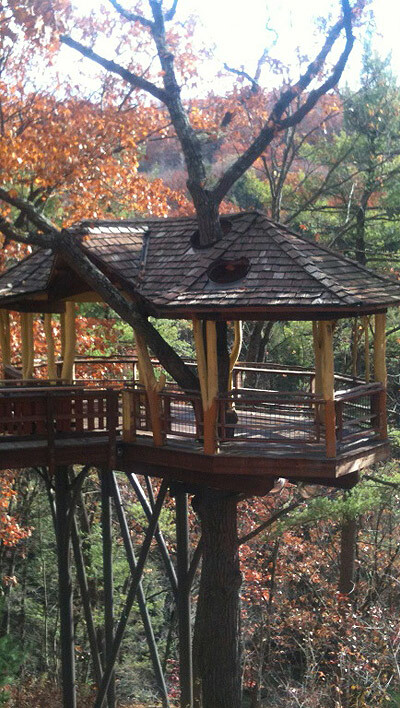 Nay Aug Park Scranton, Pennsylvania – Nay Aug Park…The David Wenzel Treehouse at Nay Aug Park in Scranton is the first of its kind in Pennsylvania. 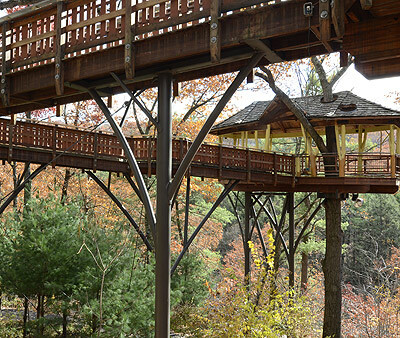 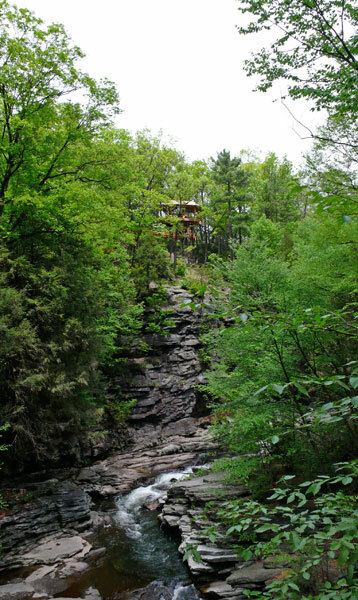 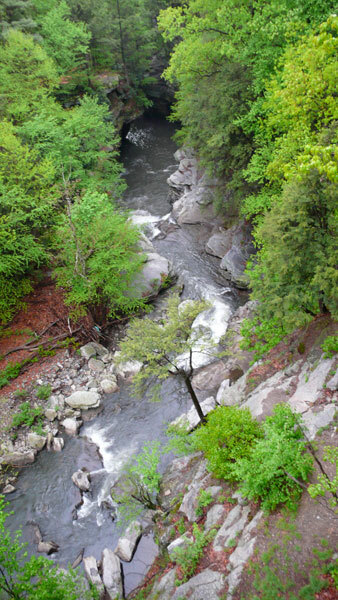 Set in the woods overlooking Nay Aug gorge, this treehouse is an incredible experience for all visitors, offering a unique and dramatic viewpoint into the park’s valley creek 150 feet below. 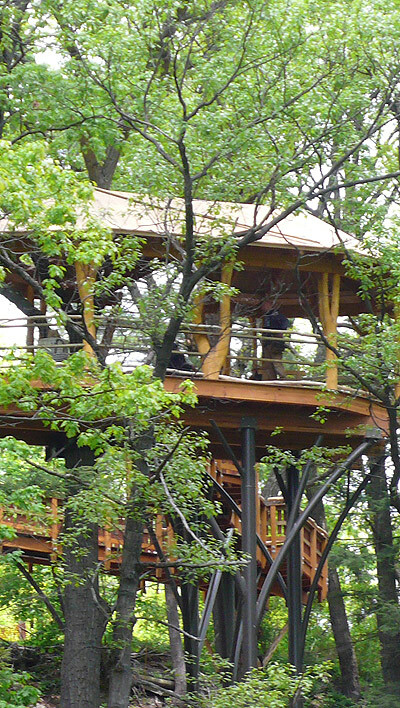 The treehouse was designed and constructed by Eyrich Stauffer with Forever Young Treehouses with public and private donations in 2007.